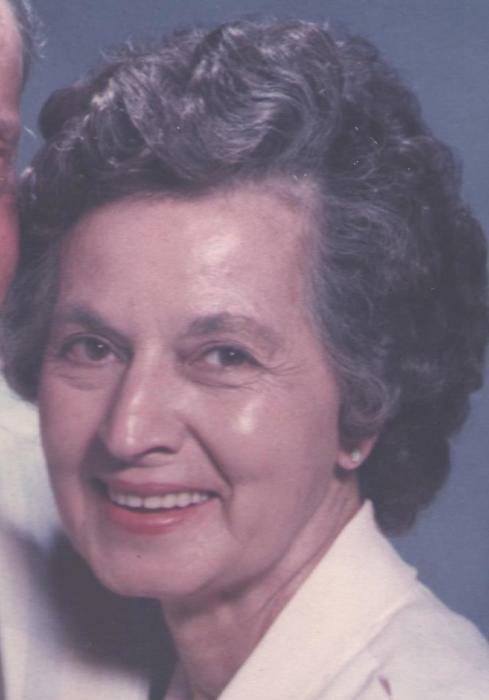 Gertrude M. Holzen of Alpha, age 93, passed away February 3, 2019 at Hospice of Dayton. She was born to the late Harry and Ida May (Barger) Fenneman on February 13, 1925 in Dayton, Ohio. Along with her parents, she is preceded in death by her husband Richard J. Holzen; beloved son Harry H.J. Jergens; brothers Willard Johnson and Paul Fenneman; sister Harriett M. Peed and husband James E. Peed, Sr.; and niece Iona Mae (Dolly) Johnson Crabtree. Gertrude enjoyed traveling to Florida, playing a feisty game of cards, and doing crafts, but her real love was playing with all of her loving grandchildren, great-grandchildren, nieces and nephews. She will be forever missed and remembered by her loving children Ernst J. (Paula) Jergens and Maryann (Ken) Cantrell; step-sons Richard (Cheryl Penhover) Holzen and Timothy (Leslie) Holzen, Sr; grandchildren Jane E. Addy, Harry RJ Jergens, Deann M. Allen, April Darrin, Eric Cantrell, Heather Bishop, James Jergens, Robert Jergens, Timothy Holzen, Jr, and Amanda and Grant Holzen; Great-grandchildren Meggan and Shelby Addy, Patrick Million, Zachary and Jeremy Jergens, Dillon and Johnathan Allen, Christopher and Alexander Darrin, Connor, Bronwyn, and Liam Cantrell and Gunner Race, Nicholas Smith, Cameron and Brooke Bishop, Caleb, Saraha, Jacob, Josh, and Grace Jergens, Michael, AJ, Matthew, and Audrey Jergens, Savannah and Tyler Holzen; Great-great grandchildren Madison Lynn Lantis, Allison and Brian Peek and Bentley Jergens; and numerous nieces and nephews. Many thanks for the loving support of Andora, Debbie and Bill, and the Alpha community. Celebration of Life services will be held at 1:00 PM on Thursday, February 7, 2019 at Hale-Sarver Family Funeral Home, 284 N. Miami St, West Milton, Rev. Sheila Slone officiating. Burial will follow at New Carlisle Cemetery. The family will receive friends from 5:00 – 7:00 PM on Wednesday evening, February 6, at the funeral home. In lieu of flowers, memorial contributions may be made to Hospice of Dayton. Words of sympathy may be left for the family online at www.hale-sarver.com.